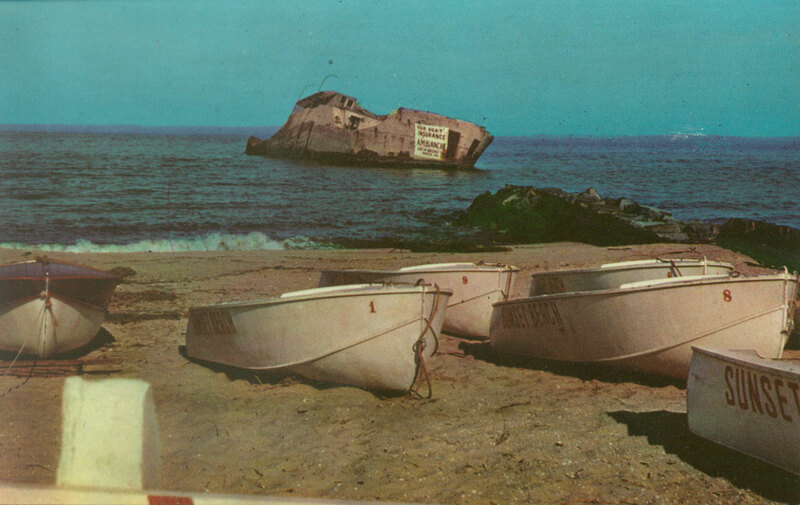 These photos show the gradual erosion of the Atlantus over the decades. This should also help you get a better picture of exactly what pieces of the wreck are currently visible. Any photos with a blue border can be clicked on to see a larger image. 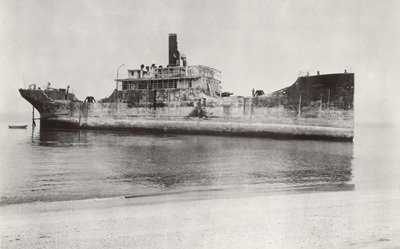 The Alantus shortly after running aground in 1926.
and back half begins sinking. Two cracks open up down the mid-section. (1940's?) Smoke stack is gone. The ship starting to split apart at the middle. The metal cabins up top are gone. The two halves drift apart and the stern begins to roll onto its side. The middle section has sunk completely. 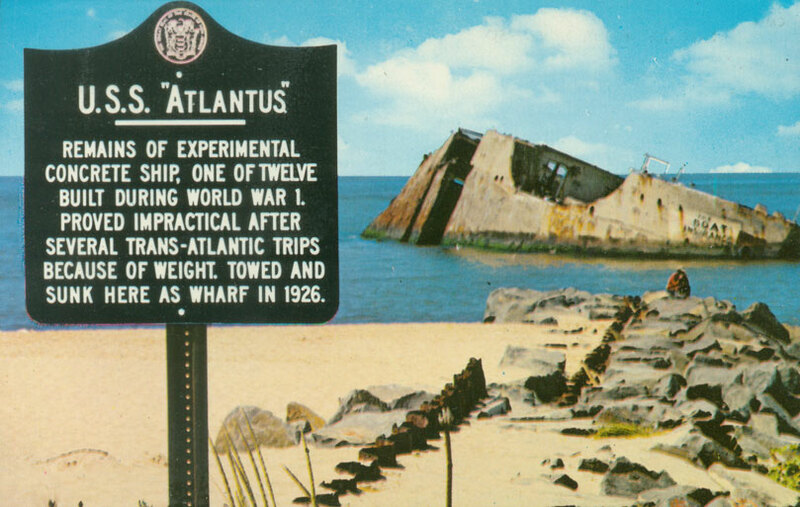 The Atlantus (present) at low tide. 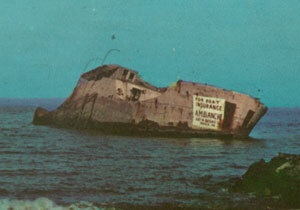 The bow is still partially visible. 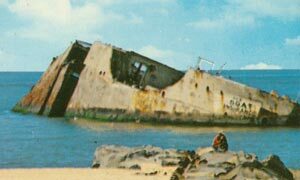 The Atlantus (present) at normal tide. The bow is submerged. A close up look at the interior of the ship mid section.